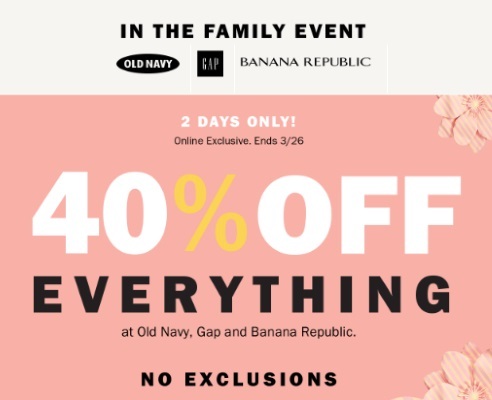 Gap, Old Navy and Banana Republic has a In The Family Event on now! Save 40% off everything with no exclusions. Offer is valid online only until March 26 2018. Enter the promo code FAMILY at checkout to get the discount.